A woman declared dead after a crash was put in a morgue freezer. Then someone noticed her breathing. The Washington Post, July 3, 2018 -- Three passengers had been thrown from the car and lay immobile in the middle of the road, almost impossible to spot in the hours before dawn. 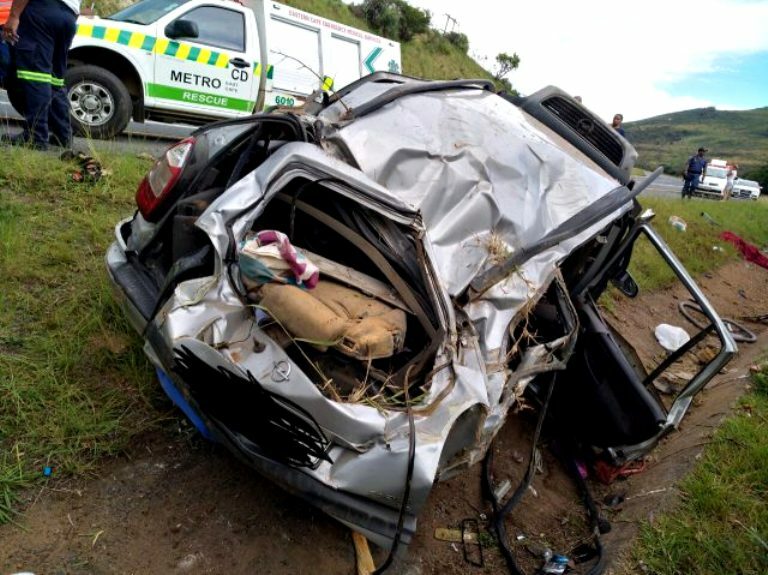 A fourth crash victim was conscious and walking around the battered vehicle, which had come to a stop in the middle of the road from Johannesburg to Carletonville early June 24. But tending to the injured person was a life-threatening proposition in itself, paramedics told newspapers. Each time the paramedics saw approaching headlights, they had to be on guard — and occasionally sprint into a nearby ditch — lest they be hit by a clubgoer or someone else returning from the South African capital who noticed the rollover crash too late. But in time, they whisked the crash victims away. The survivor was taken to a hospital. The three on the road, who had been declared dead and were covered with silver sheets, were taken to a morgue and placed in refrigerators. 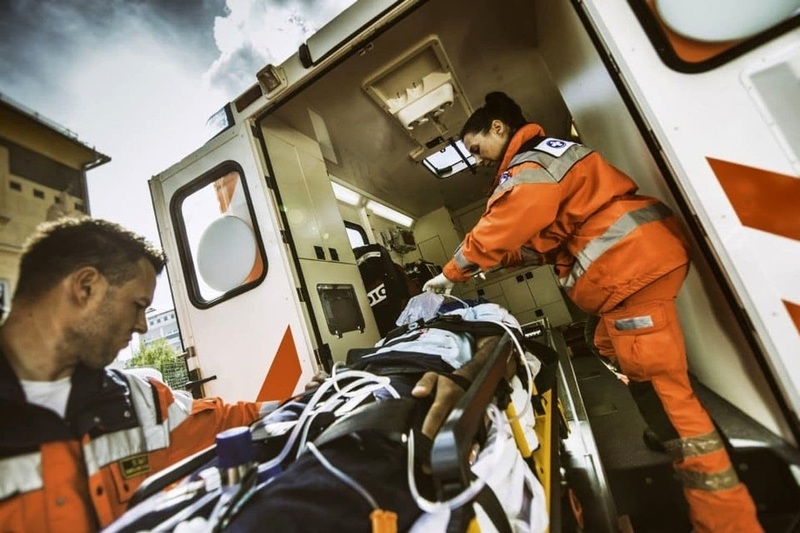 In that province, paramedics and other trained and designated people can certify that someone has died, according to a press release, which specified that the call on the woman's condition was made by a private medical service, not the health department. As taphophobics (those who fear being buried alive) are well aware, death isn't always an easy-to-detect, binary equation, even for medical professionals with sophisticated equipment. In some rare cases, presumed-dead people suffer from catalepsy, in which a person's heartbeat and breathing slow to almost imperceptible levels, according to the National Center for Biotechnology Information. And a study in the British Medical Journal highlighted a case in which a child submerged in cold water for 25 minutes survived, as the low temperatures slowed the body's processes. There have been scattered (but headline-making) cases of people being declared dead when they weren't. In January, Gonzalo Montoya Jiménez, who had been imprisoned in the Asturias region of northern Spain, was certified dead by three doctors, according to the BBC. He wasn't, and he woke up a few hours before an autopsy was set to be performed, his body already bearing pen marks to help medical examiners make the appropriate incisions. In November, a baby born premature and later pronounced dead began crying on the way to his funeral, The Washington Post reported. The doctors involved didn't do electrocardiograms tracings that would have detected tiny electrical impulses put out by the baby's heart — and have been fired. Three years before that, according to The Post's Lindsey Bever, a 91-year-old Polish woman who had been declared dead in the town of Ostrow Lubelski woke up after 11 hours in the morgue and asked for hot tea and pancakes. In January 2005, Larry Green was hit by a car and declared dead by paramedics on the side of an eastern North Carolina road, the New York Times reported. He was discovered alive after a Highway Patrol trooper investigating the case asked technicians to open the morgue freezer so he could examine the body for his report. And, perhaps most chilling of all, Maria de Jesus Arroyo didn't survive her trip back to life in 2010. The 80-year-old grandmother was pronounced dead after a heart attack and placed in the freezer of a hospital's morgue, according to NBC Los Angeles. A few days later, she was found in a half-unzipped body bag, face down, with bruises and a broken nose. 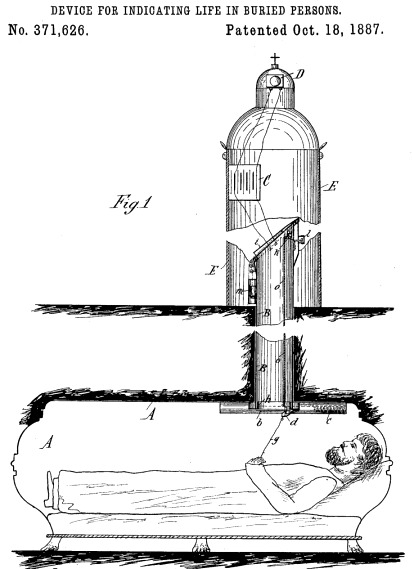 In the 1800s, the Victorians were very concerned about being buried alive. WHAT IF YOUR LAST BREATH was only a poor assumption, a supposition? What if your family, the doctor, the coroner were all wrong, and you found yourself buried alive? You’d scratch and claw, scream and shout, and no one—no one—would hear you. There’s a name for this feeling: taphophobia, the overwhelming fear of being buried alive. For centuries there have been stories, many of them myths, about people who met this panic-inducing fate. And real mistakes have indeed happened. According to Christine Quigley in her book The Corpse: A History, “in the early 1900s, a case of premature burial was discovered an average of once a week.” Once a week! That’s not just something to worry about—it’s something to get to work on preventing. So, how to make sure that the dead are really dead? There’s always the ancient Roman method where mourners waited eight days to bury a body, giving the supposed deceased ample time to snap out of it. But maybe this seems far too passive. Enterprising taphophobes throughout history, and especially in the 19th century, have deployed a wide array of methods to ensure that dead means dead. Timothy Clark Smith, a Vermont taphophobia sufferer, decided to rely on others to make sure his death wasn’t announced too early. 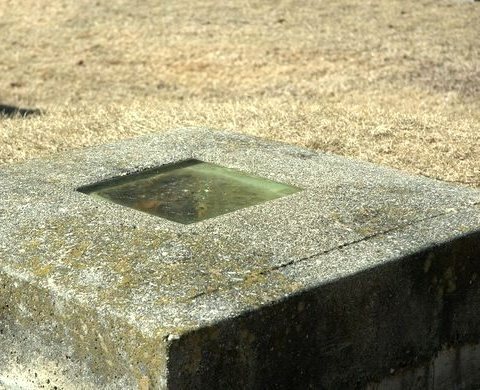 Smith asked to have a window installed on his grave, “six feet above him and centered squarely on his face,” when he died. Today the glass has clouded with age and it’s impossible to get a look at Smith, but imagine a breathy fog covering the glass, and Smith waiting for someone to notice. Of course, by all accounts Smith never had to have the assistance of a helpful passerby, and he died without incident in 1893. Forward-thinking safety-coffin designers thought of everything. 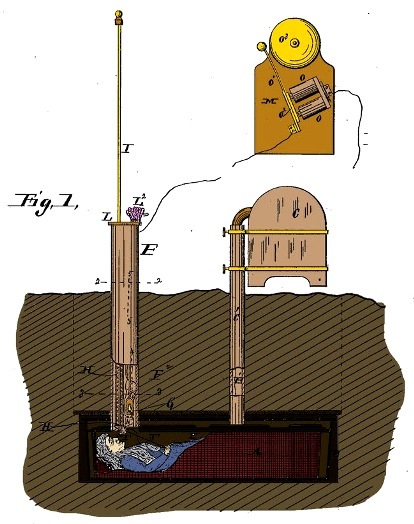 Gael Bedl’s 1887 design came equipped with an air pipe that would be opened if there were movement in the coffin. It also featured an “electric alarm apparatus,” which emitted an audible sound when the air pipe engaged. Bedl’s patent application noted that the air pipe could be made of any decorative material. The day’s been tough enough, being buried alive and all, no need to sacrifice style. Above--here's one that was very popular at the time. If you woke up in your grave, all you would have to do is to ring a bell.